U.S. President Donald Trump long ago realized that you can use Twitter as an effective mouthpiece without all the pain and price of dealing with the media. Trump’s Twitter account (36.5K tweets and counting) has become one of the most popular ones out there today, with 43.5 million followers and growing by several hundred thousand a week. It’s also one of the most notorious, because of his flippant jokes, insults, rants and controversial retweets. So for those who haven’t been happy with Trump — and judging by the popular vote results from the 2016 election, that accounted for a majority of voters in the U.S. — those deactivated 11 minutes became a burst of unexpected joy. Twitter, in its turn for more transparency, quickly announced that the account’s shutdown was accidental. Moments later, it followed up with more information: a contractor, on his last day of work, was responsible. Many have wondered on Twitter why Trump’s account has never been shut down for violating Twitter’s terms (among the reasons people have given is that he has threatened North Korea with nuclear violence) while others have been calling for people to report him using Twitter’s reporting tools for offensive tweets. uysak, medium in stature and wearing a black and gray cardigan with a pattern of the American flag across it (not something he planned, laughing a little in surprise when he made the connection between it and the story), is a personable guy. He’s quick to smile; he’s close to his family and has a big network of friends; and he speaks with a certain kind of indeterminate European accent — the kind you often hear from people who have traveled, lived and studied across different countries. He’s more Euro than bro. This is where Trump’s behavior intersects with Duysak’s work life. Someone reported Trump’s account on Duysak’s last day; as a final, throwaway gesture, he put the wheels in motion to deactivate it. Then he closed his computer and left the building. Several hours later, the panic began. Duysak tells us that it started when he was approached by a woman whom he didn’t know very well. According to Duysak, the woman said that she had been contacted by someone asking about Duysak in connection with Trump’s Twitter account. After a moment of disbelief, he said he then looked at the news and realized what had happened. Duysak describes the event as a “mistake.” Specifically, he told us, he never thought the account would actually get deactivated. Trump’s election has signaled a high water mark for how people with opposing views on politics and other flashpoint subjects interact. Perhaps more than ever, people spin stories in ways that fit their own agendas. 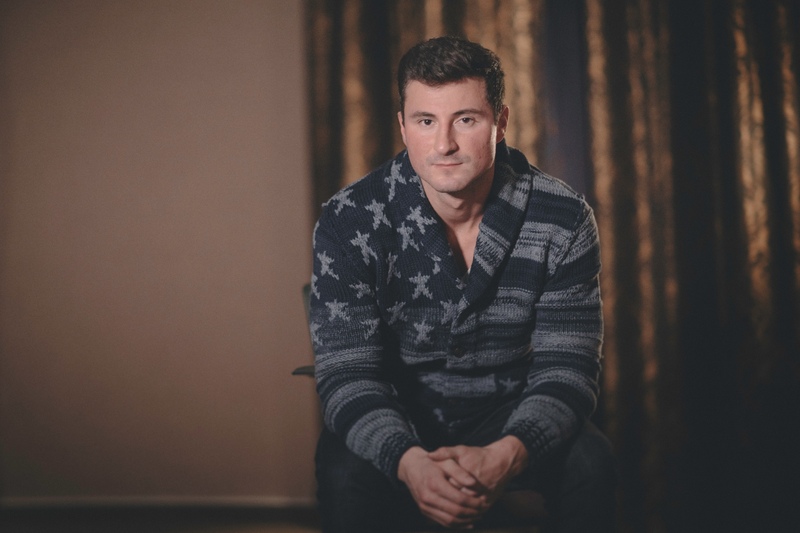 Although Duysak was hailed as a hero by some, he says he hasn’t felt like one at all. He’s been pursued by the media, which have been aggressive in contacting family and friends. The woman who first alerted him is a typical example (we asked, and he would not provide her details to us, probably to protect her). Duysak said she had liked some of his posts, and someone — already with a lead on Duysak — had spotted this and tracked her down. But he is not concerned about what happens next if there is further investigation of the incident. He hasn’t broken any laws. For now, it appears that the media has actually been more aggressive than the authorities. We asked and have confirmed with Duysak’s legal representative that the FBI is not investigating him at the moment, although Twitter has apparently attempted to get more information from him. Duysak has chosen not to reply. At Twitter — which declined to provide any details to confirm Duysak’s identity to us — the event has hastened efforts to change things at the company. There are some details that potentially complicate things, partly because of how charged the political climate has become in the U.S. Duysak is of Turkish origin, not from the U.S. While these facts have nothing to do with Trump’s account on Twitter getting deactivated, in the wrong hands they could be spun negatively, given Trump’s previous negative statements on immigration and people from predominantly Muslim countries. Apart from inflaming those who don’t agree with him, and emboldening those who do, Trump has spelled out some specific opinions on how the U.S. sits in relation to the rest of the world. He wants to build a wall to keep out immigrants. He has targeted Muslims specifically as a group, a blanket policy he believes would help keep out extremists and terrorists. He has also proposed and signed orders to fill out those ambitions. uysak, in one physical sense, is out of the picture where the U.S. is concerned: our interview took place in Germany, Duysak’s home country, where he returned at the end of his visa period. He could have just laid low, but he hasn’t. So then why come forward? To try to clear the air, he said, get a new job and not worry about how the story would come out, if it did, without his involvement. He agreed to talk to us because he had a connection to a Muslim-focused community center (which has also had some persistent contact from reporters) in the Bay Area where a relative of Tito’s volunteers. That contributed to his trusting us.